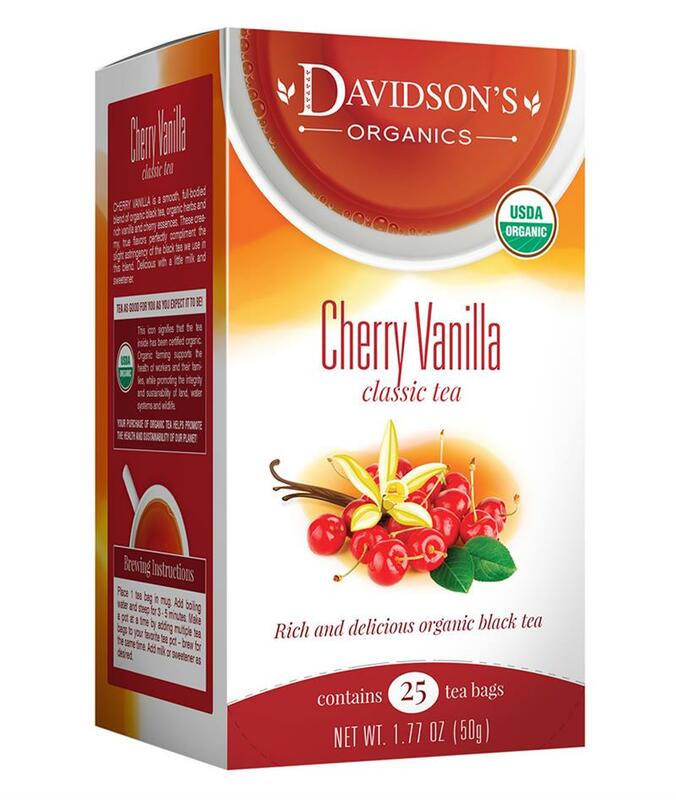 Cherry Vanilla combines organic herbs with creamy vanilla to create a full-bodied black tea brew with a touch of cherry sweetness on top. 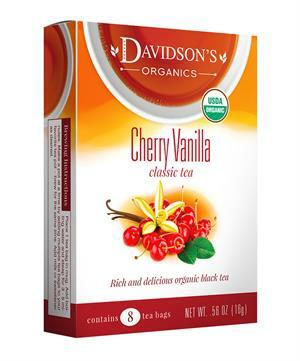 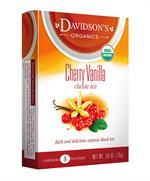 Davidson's Cherry Vanilla carries a rich and fruity flavor profile, balanced by our robust organic black tea. Davidson's organic black tea is sourced from family tea gardens in the Darjeeling and Assam regions of India. 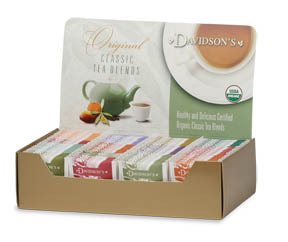 In this image, small farmers at the Selimbong Tea Estate are plucking tea leaves for black tea processing. 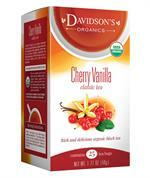 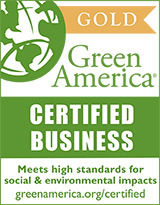 Organic black tea, organic carob, organic chamomile, natural flavor and organic dried cherry powder.